From The Beatles' "I Get By With a Little Help From My Friends"
Now of course, geniuses Lennon and McCartney knew they were writing a song that being about the human condition, would have universal appeal. But there is no way they could have known how perfectly this song encapsulates contemporary motherhood. I can't thank my friends enough. It is you ladies who often get me through the day when I am about to run screaming from my house, never to return. I can rely on you in person, or via phone call, text or email, to hear my pain and give me the courage to keep going. I can also count on you to hear my triumphs, and cheer me on. I hope I have been there for you as cheerleader, confidante and shoulder to cry on. Some of you I've known since we were kids. Some of you I've known for years, from dancing or teaching. Some of you I've met recently in the neighborhood (Go H.P.!). And one of you I met from blogging, and even though we chat regularly, I've never seen your lovely face in person. Many of you I didn't know when you had an identity other than mom, meaning we never had a chance to be wild and free together. But even those of you whom I haven't known for that long, because of the intensity of this motherhood thing, because of how much we depend on each other, it feels as though we've known each other forever. Sorry to be sappy, but each one of you is a huge part of my life. It was in the spirit of needing my network of mommy buddies, of craving momraderie, if you will (I am sorry about these mom puns, I can't help myself), that I wrote A Mom's Night Out, A Hangover and Longing to Seize the Moment. It is currently featured as a guest post on the terrific parenting website Green Eggs and Moms. Thank you, and a big hug to the lushy friends who inspired it. You ladies know who you are, wink, wink. I encourage you to find some friends, lushy or teetotaler, mothers or not, and share this post with them. I encourage you to make plans with people who make you blissfully, ecstatically happy. And more than anything, I hope you can rediscover that carefree, fun person you once were. And to my friends and readers, I thank you for your support. I hope to raise a glass (or more!) with you soon, either face-to-face or virtually. This is the sweetest post. I treasure our friendship & feel so grateful to have a great mommy buddy. This little message made my day!! Love you, Keesha! Thanks, Amy! I'm so happy that this was a little starburst for you! You are a fabulous friend and I CANNOT wait until July! wonderful post dear friend. i've only known you a year,but know i'll know you forever:) kisses. Tiff, having you just come on over to see me at the park was so great today! It really did feel like college when your closest friends are less than 5 minutes away. Love you, great lady! It's funny because I've never really felt the need for many friends in general, until I had my daughter. Now, I crave the time spent with other women who have such valuable advice to share! Hope my circle grows as big as yours! Joy, motherhood will do that to you. I really think it might be evolutionary - women were not meant to do this alone. I hope you find as many mommy buddies as you want and need, although, in my view, you can never have too many! This post is a good reminder to me to make some calls to friends I haven't spoken to in a while. Distance (and the time change that goes with it!) makes it hard, but it's important to maintain those bonds. Thank you! My pleasure! Especially when as mothers, every day can seem like a rush to the finish line, it is crucial to take time to reconnect with our buddies. I'm always surprised how even my childless (I hate that term) friends can get it, and be a responsive ear. I have been thinking a lot this week about how much I value my mommy friends, so reading this tribute felt good. I really don't know how I'd get through without the support of the women who lift me up and push me forward. Its an amazing thing. So glad to read how universal that love and respect is. What amazes me also is how most men just either don't need or can't find the same connections with other men. I know they are stressed about parenting, but they don't take the same solace in their buddies. Mars and Venus, indeed! 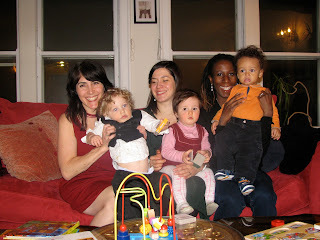 Wonderful post, I never really had friends until I started having children, and now my mama friends I love them so much, we all can relate on all topics. Thanks for this sweet post. I hear you! 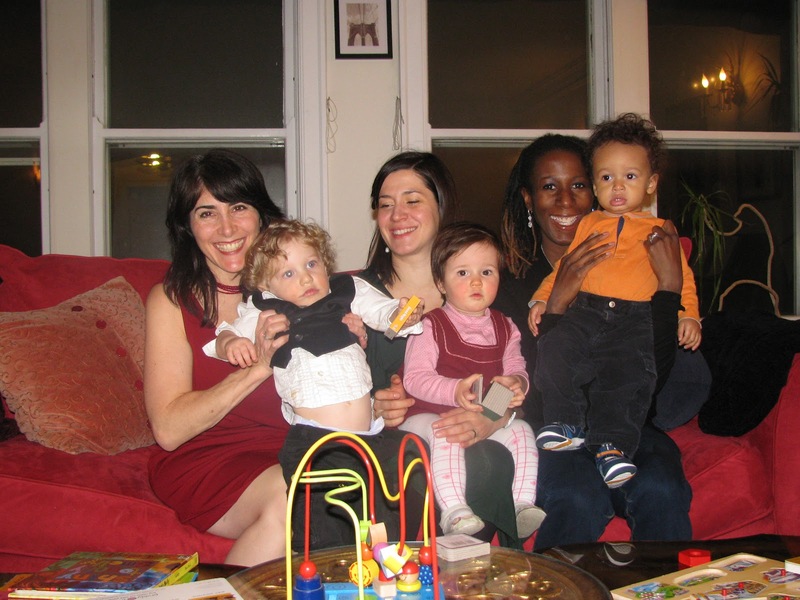 I worried that many of my close friends had had children earlier, and that I didn't know many people nearby (we had just moved to Chicago). 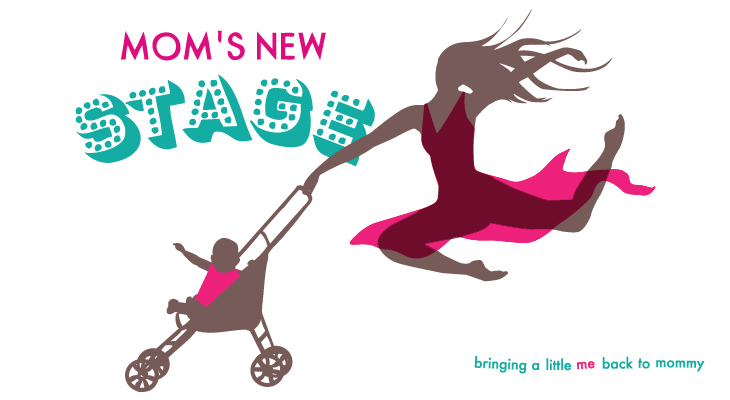 But once I was pregnant, I started meeting new moms at prenatal yoga, etc and it seemed like mom buddies just came out of the woodwork! Then once I had my first I started meeting tons of women in my neighborhood! Motherhood can be such a huge bonding agent! A very nice post.. You obviously love and appreciate your friends..